Do you have pictures? Send them to us and we&apos;ll post them. Allow me to show you our winter landscape. Must be interesting to compare to your warm weather. These are winter flights on the river Volga. Our winter temperature at this time of the year is around -19? (-2F) But we have NO problems with Alligators. 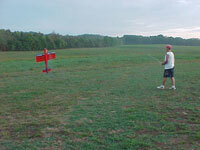 We made yesterday test flight for the 3rd Inspire at our flying field. 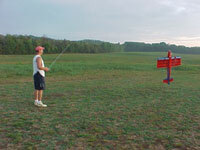 The name of the flying field is Ashrad. You can see more onwww.f3a-israel.net. I also have mini Inspire. All 4 models are bought from you. Greetings from Argentina, I just wanted to drop you a line and thank you for the help you provide in setting some of my models and send you some pictures of them. I just wanted to drop you a line and thank you for the help you provide in setting some of my models and send you some pictures of them. The first model is an Inspire 60. It has your recommended set up with a Hacker A50 16S, Jetti Spin 66 ECS (great stuff, love the program and down load box) with a TP4600 6S battery and a 16x10 prop. 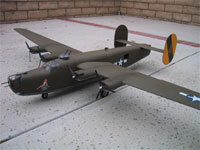 This is a great flying model, with thus set up it has a ballistic vertical. The second model is Andrew Jesky A330 Extra. 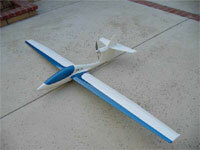 It has a hacker A30 10XL with a Hacker 40 Pro ECS and powered by a TP4600 3S battery pack and uses a 13x6.5 prop. I think I may need to go bigger on the prop as this one cavitates at high power. I&apos;m still working the bugs out on this one. The third model is meant for doing lazy circles in the sky. 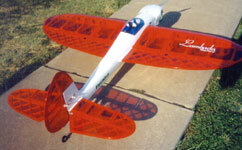 It is a Pacific Aero models DH82 Tiger Moth. It has your recommended set up of a hacker A50 16L with a Jeti Spin 55 ESC and I&apos;m using a TP6000 8S3P battery pack for power. The model weighs in at about 12.3 lbs and with this set up it should fly around in a scale manner. The last picture I set you is my biggest model that I have built. 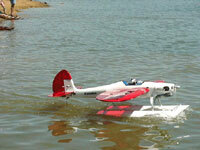 Is a RV6 home built aircraft powered by a Lycoming 0-320 (160 hp). It took me 12 years to complete. It is all metal two place plane. It will cruise at 170 mph and burns 8 gph. 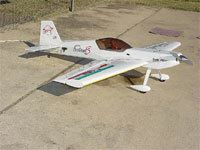 This is my last airplane, a wonderful electric Genesis 3D from Camodel. My friend Marcelo Colombo, from Camodel, did a very good job here. 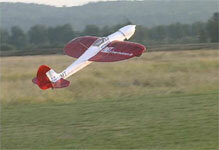 With this model you have both: Precision aerobatics flight, Stable Harriers and Hovering. 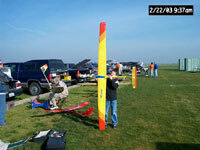 The first two pictures (hovering) were taken in my Club: "e;Club de Aeromodelos de San Bernardo"e; during the Maiden session (Saturday, 19th, 2007). 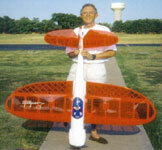 Only second flight of the model. 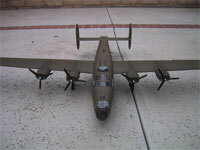 The number three picture shows a closer view of the model. 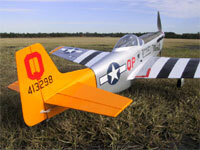 Please check out my new P-47 Thunderbolt. 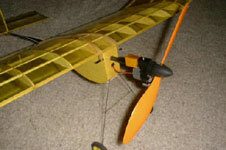 I am using E-flite 60 motor, Hacker 77-Opto ESC and TP6000 6S3P batteries. Power system draws 50A with 16x10 APC-E prop. All components including the motor mount (except the plane) are from Esprit (my local hobby shop)! 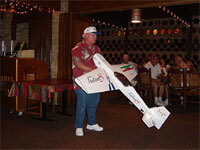 One of the pictures is with a 16&apos;&apos; Ramoser 4 - blade Vario Prop. I moved to the larger prop: 16x8E, for now in my Inspire 60, AXI 4120/18 and TP5300 5S4PV battery. I have enough power to hover as you can see! On the ground I am getting about 53 amps and about 850-860 watts at full throtle. 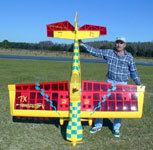 This is an Aircraft that powers down the runway at half throttle and is still faster than most nitro models. 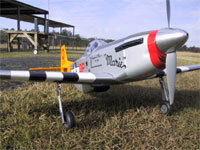 It&apos;s very stable in all flight maneuvers especially in combat but then files like a trainer on landing. I test flew the Xperience Pro today and it was love at first flight! I had some minor issues with the build: V-tail bolts too short and some paint chipped off the v-tail, but everything else is very nice. Thanks for making the trade, this is one awesome plane. 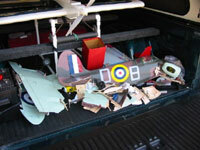 Thanks for all your help setting up the Savex Spitfire. 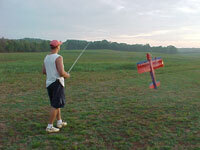 I finished it last weekend had a great maiden flight. The motor sounds great in flight. 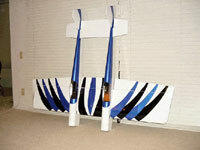 Here is my Hanger 9 Alpha .60 on a pair of 40 inch ZeeDoo floats. Great customer support from Espritmodel. 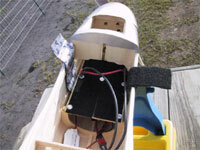 I am attaching some pictures of my E-Star Decathlon. The kit had the best fit of any kit I have ever built. 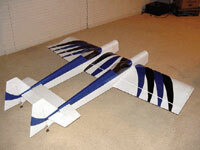 I covered the plane with 21st Century Microlite and the graphics were cut out of Coverite vinyl trim sheet. 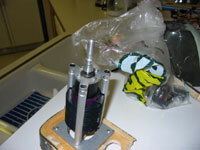 I am using a mini AXI 1215/16 motor with 6:1 gear reduction. The battery is a TP 2100mah 3 cell. The weight less battery is 18 oz. It flies great, and has plenty of power. Rolls work better with some rudder coupled with the ailerons. The plane was a joy to build, and I&apos;m looking forward to getting started on the Pilatus Porter. I cut-out the cockpit floor, so the batteries can be taken in and out without disassembling anything. The pilot is on a piece of plywood held on with Velcro. The plane takes off in less than a yard and has plenty of power. I do not need to fly at more than half throttle. The motor is just as cool after flying as when I took off. Thanks for your help on this project. 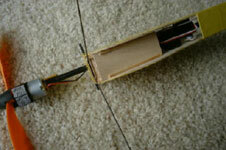 AUW: Weight without batteries: 10.8 lbs.. Weight with Batteries: 13.5 lbs. The tail section has been greatly enlarged. The new tail section has a Much larger balanced elevators and and enlarged, balanced rudder. 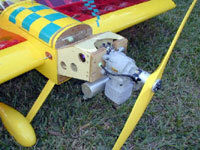 This modification gives the aircraft a significantly greater amount of rudder and elevator authority in the air. Here are a few photos of the planes as it currently sits ready to be test flown in my particular setup and configuration. The pilot is the one I got from you with a HS81 servo mounted inside on the neck flange so it rotates back and forth. Hope you enjoy, Thanks, Tom Rothbauer, Charleston SC. Now were starting to get down to business. Check out my newest additions to my fleet. Here are the pictures I promised. Again thank you for all your help. The take off roll is about 20 feet and the vertical seem unlimited. After seeing all the slower electric, I just so please with this plane. Here it is. You can see it sits slightly low in the water, but I think it will work. 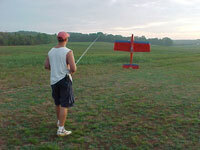 I&apos;ll let you know after Barry test flies it. I&apos;m thinking of using a fine plastic screen over the air intake to let air in and keep water out. I am using yourmotor mount. Hangar 9 P-51 ready for take off. 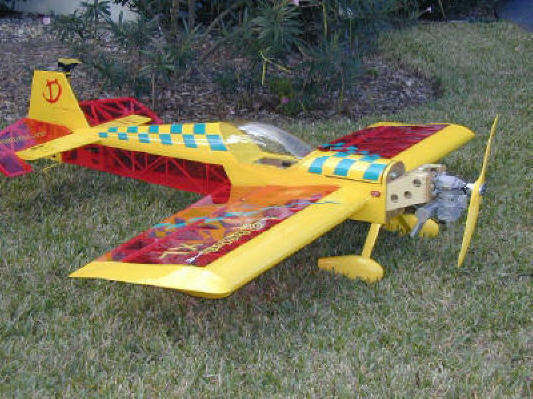 Thanks for all your Help ZB, I must say the Piper Cub went together very well, although the instructions did little to help. You provided every piece of equipment needed to complete the job without having run down to my hobby shop constantly. Very good job ZB! I would recommend you and your company to anyone. 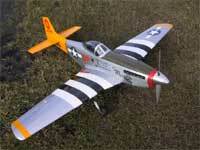 Here is the Hangar 9 60. size Mustang P-51D ARF conversion from glow to electric. Thanks to the help of Esprit Models. It has a B50 9XL Hacker Motor with a 5.2:1 gear, a Master 77-3P speed control and two Thunder Power 3S4P 8000 batteries wired in series. I used an Ultimate BEC for the extra servo for retracts. I cut a hatch in the front of the plane to plug and unplug the battery packs.When I first ran the motor it scared the crap out of me! 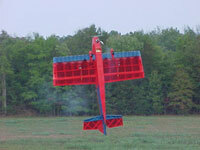 It flies great and has more than enough power to pull this plane straight up! It performs all manuvers flawlessly.I have flown two back to back 10 minute flights and I think I can get one more 8 min. out of the packs but I need more testing. It sounds great too! It really freaked the guys out at the field. Thanks for the help, Scott Q -S.C.
I&apos;ve been having lots of fun with the Windex, I wish I bought 2 or 3 from you when they were on sale, a lot of people like it. I put blue metalic Monocoat on the top wing surface and it matches the canopy nicely. On the bottom I put three red stripes on each wingtip. Best of all I added a small wheel to the bottom and I can ROG in less than 50 feet thanks to the AXI 2814/12. That power combination turned out to be a little heavy and I may change it later but it is fine for now and has great performance. Hand launching this thing was too nerve racking without a good headwind, ROG is definately better. Oh yea, I added flaps so I can land this beast at the slope. 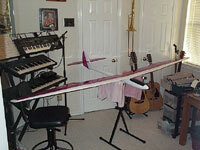 Attached are two pictures of my Hanger 9 6.75 lb Funtanna 40S which I converted to electric. 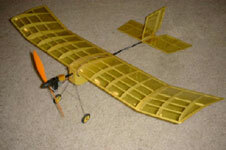 The first picture is of it ready to test fly at the ARCS (Alamo Radio Control Society) field in San Antonio, TX . The second picture is of me showing it at the show and tell at the ARCS meeting. They were very impressed. It has a Hacker B50 13S geared 6:7.1 with a 17X10 APCE powered by a 4S4P 7800 Thunder Power LiPo Pack. 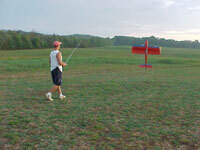 This set up was designed for my Lark 3D, however it pulls this heavier and larger bird very well. It does not hover with this system though. I can get 3 flights in before charging is necessary. I will upgrade it to the C 50 ACRO with 17X10 and the two LiPo battery packs in series as you suggested to achieve that goal. Thanks for you help and fine service. 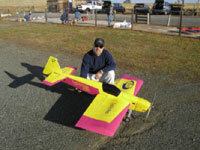 I posted this on the RC Universe Web site at the request of Greg Covey who writes for Quite Flyer mag. I thought you might be interested in it FYI. 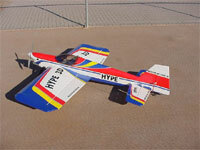 I flew the Funtana upgraded to the (50 10L w/6.7:1)Acro today (WOW). 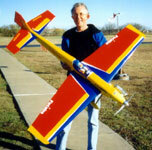 I now have unlimited vertical and normal aerobatics only require 1/2 power or less. I did a lot of vertical showing off so I only got 2 complete 10 min. + flights out of the battery packs. I tried a third but after about three min. I could tell it was time to land. The small 2S 4P pack was down to 6.14 V and the 3S4P was at 10.10 V. Not close enough to charge in series according to the very helpful data that Jason at Thunder Power e-mail me. See attachment. Thanks to help from you, Jason and Tim Lime at Hacker some of this e-stuff is finally making some sense to me. It&apos;s a exciting and totally new world for me. 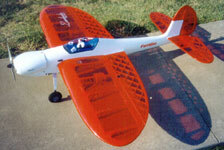 One of the guys at the field today said the Funtana&apos;s flying today was "e;FRIGHTENING"e;, he fly&apos;s a medium sized brushed e-plane called Bubbles. He will be going brushless as soon as he sells his boat. The rest were in awe. That motor mount is really great, thanks for getting it out to me quickly. It came Saturday. If you have any Esprit Model decals to spare, I would be proud to put them on my Funtana. I have attached a picture or my Lehner/Reisenauer- powered Lambada. I don&apos;t have much flying time on it yet, but it really works well with the RFM 17x13 prop on 20 cells. Just wanted to let you know, I flew the BOT this weekend and got three 30 min+ flights. It winch launches well, but you have to be gentle with it. It can climb in light thermal activity. Got so high I could barely see it and took over 6 minutes to get it back down. This ship looks great. I am pleased with the purchase, thanks! It was set to the E3D settings. 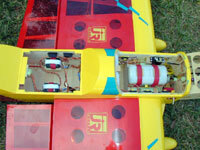 The channels are the same 1, 6 ailerons, 3 ESC, 4 rudder. I did my control surface checks and they seemed OK. It took off, retracts came up, I climbed out and suddenly it takes a left hand turn down to the ground. I couldn&apos;t control it. I managed to pull the throttle back to off before she hit. I&apos;ll be getting Spit II soon. Here are all the collected parts in my truck. Motor seems in good shape. The plane went nose in on a soft grass field. Prop shaft is bent but everything turns without binding. This motor mount saved this "e;Merlin"e; B50. Hi Zb, Here is a photo of the Mistral 2600 I built over the Christmas break. You were right about the plane as it thermals very nicely. I&apos;m glad I chose this plane over the NSP Electra. I&apos;m also glad I got the transparent coverings as you suggested. Thanks for your support in putting it together. 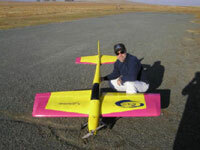 Powered by a Webra 145 Aero X with a Greves pipe. Controlled by only the finest Futaba servos, titanium rods, Nelson ball links and, of course a 9Z. This pic was taken after the first flight. Just flew it around and really didn&apos;t throw it around hard. The 3D testing will come this weekend. Thanks for the Diablotin XL. What a great model. I set it up with a ZDZ-50. This is a strong and great running motor. Plenty of power for the Diablotin XL. OK ZB, here are a couple of pictures for you. Sorry, none flying the plane as it was too busy at the field to fly close. Note how much shorter the cowl is. I moved the engine back by 2 inches and trimmed the cowl accordingly. It balances perfect now with the battery and receiver over the tank. 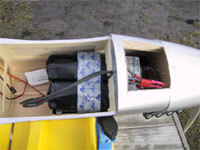 Before, I had to move the battery all the way inside the fuselage behind the canopy. 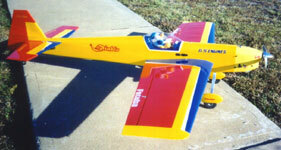 The Saito 180 will hover this plane at 1/4 to 1/3rd throttle. When you full throttle in a hover it still goes straight up. I do use 30% nitro though. Plane weighs 9.8 pounds. It lands at walking speed and hovers flawlessly. I can&apos;t wait to get the XL with the Saito 300 twin in it. Thanks for all your help and cooperation. Hello, you might remember me, My name is Jason Anderson, and I purchased a Diablotin twin ARC from you earlier this year...Well I finished it a while back and thought you might like to see it.. It covered in Ultracote white, pearl blue, and carbon. To power it I used OS .61 FX&apos;s, and digital servos all around. 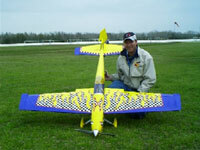 Did I mention that it flies great and has great vertical performance.... here are the links to the pictures and video.....The pictures were take before finishing the plane, I still don&apos;t have the cowlings painted and so they weren&apos;t on the plane. I am going to purchase from you a Diablotin micro are they still on sale? Hello, I recently purchased a Traper and thought I would shoot you a couple photos. 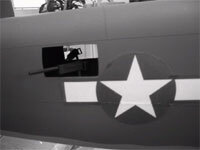 I was pretty pleased with the kit, but I did beef it up in a couple places, namely put doublers on the wing saddles, doublers on the bottom fuse sides, beefed up the landing gear, put a sliding cover over the electronics, and made a platform for the stab to increase the bonding area. I used a GWS 280, geared 4.43:1, 10x8 prop with a 6 cell 350 mah NiCad pack. The first flights have been good, and with thermal activity have easily surpassed 20 minutes, with a good portion of the flights being with power off completely. 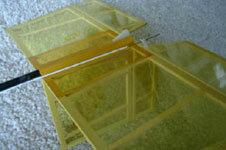 By dialing in some up trim, this plane floats and thermals well! It could definitely use more power, therefore, I am going to try a 7 cell pack to increase the power, without increasing the wing loading too much. The whole idea of this plane was to get my kids something to learn on, and I think it will work nicely. Thanks for the plane, it has worked well. I Just wanted to tell you that I&apos;m very pleased with the performance of my Diabolic. I powered mine with a Saito 91 and mounted it inverted. I have A JR 8411 on the elevator and 8231&apos;s on everything else. I attached some pix of me torque rolling. Here are some pictures ZB, the Lambada has over 35 flights. Went to HiTec 645MG for elevator and OS 91 FX (2cyc) takes it vertical and allows great prop hangs. We have a float meet coming up, (http://www.ndrcc.com/ ) so I am putting the 40 inch floats on it that I purchased from you - I want to do a straight-up take off on the water, on the ground, it does a 5 foot roll and then straight-up, but the floats may require the OS 1.08 2cyc in order to do this. Kontronik Power Drive "e;S"e; gear 4.3:1 10x2400 CP zapped 14.5x9 prop.